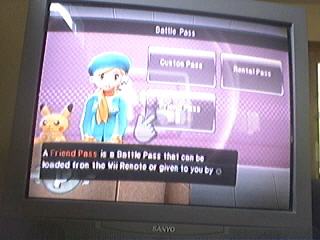 Apparently You can save your battle card to your Wii Remote, along with your Miis. 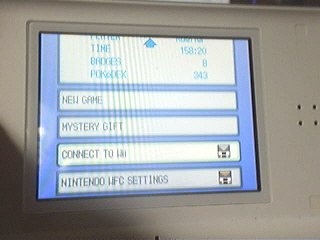 Battle Revoulution can Send Mystery Gifts to your DS! 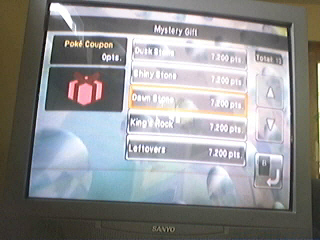 Apparently the Mystery Gift Cheat for the DS will play a Role in Pokémon Battle Revolution. You can buy Left Overs, Kings Rock, some TMs, and some stones. Apparently there is no Icon for Wii games that signifies if the game will connect to a DS game or system. 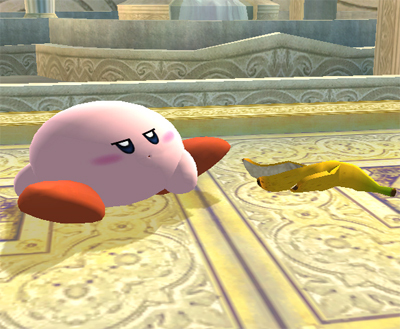 In the past, particularly GameCube games Nintendo has put icons to signify if a game will connect to another system. 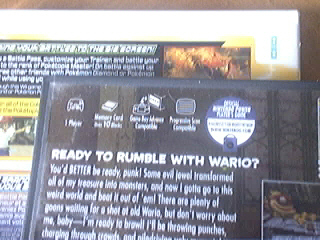 in the picture above you can see my Wario World game with such an icon. 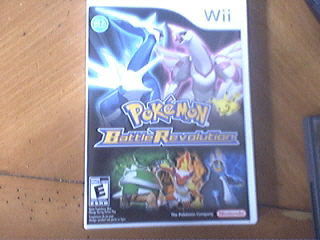 Nothing too big, Today I picked up my Pokémon Battle Revolution game. WooHoo! Today my Wii will hopefully be playing online. Also I reserved Metroid Prime 3: Corruption. Betty Boop made her film debut in a Max Fleischer short cartoon entitled “Dizzy Dishes” in August of 1930. Her character evolved, leading to a “Talkartoon” series. In 1932, Betty starred in “Any Rag,” and the world’s first genuine female cartoon star was created. Betty’s flapper style and sassy charm has captured audiences ever since. In Betty Boop “Double Shift,” players take control of Betty as she struggles with the daily tasks of running her own restaurant—for example, seating customers, taking orders, or bringing the check. Assist Betty throughout the game as she earns money to improve her diner and help revitalize the neighborhood. The video game takes full advantage of the touch screen capabilities on the Nintendo DS™, as the user can easily move Betty around the restaurant using the stylus. Betty Boop: Double Shift will be released in Fall 2007 on the Nintendo DS. New Information About Brain Age 2: More Training in Minutes a Day! Brain Age 2: More Training in Minutes a Day! The game that launched a new generation of gamers is back. 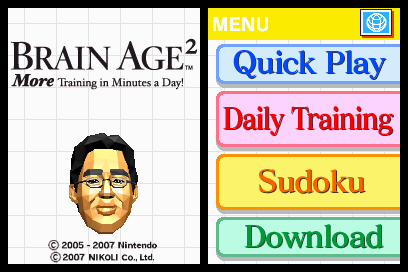 Based on the theories of neuroscientist Dr. Kawashima, Brain Age™ 2: More Training in Minutes a Day contains all-new activities to challenge a player’s grey matter. # Give your brain a workout! The 17 fun new activities are all designed to help work your brain. Whether you’re playing simple songs on a piano keyboard or monitoring the photo finish of a footrace, you’ll love this new mental workout. 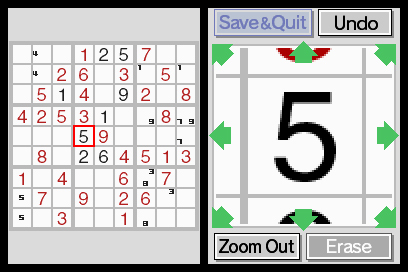 # When starting a new game, you can take a series of tests to receive a score that shows how old your brain is. With daily training over weeks and months, you can strive to improve your mental acuity and lower your Brain Age. # Keep up to four save files on one game card. 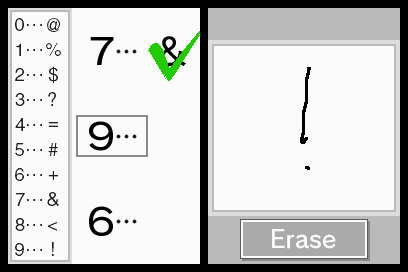 Sharing a game allows you to engage in a picture-drawing quiz or other challenges with family and friends. You can also use DS Download Play to send a demo to friends or compete with up to 16 players in one of four fun modes. 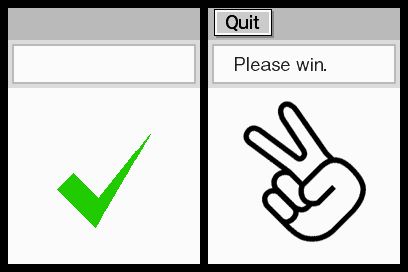 Rock, Paper, Scissors: Speak the symbol that beats the one on the screen, but be careful. You may be asked to lose as well as win. 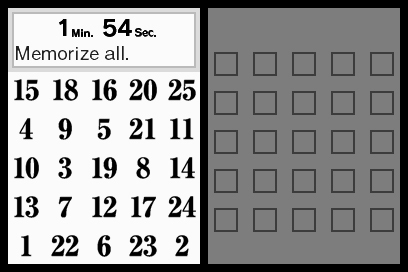 Number Memory: Memorize a set of 25 numbers and their locations, then write down as many as you can remember in two minutes. Piano Player: Play notes on a keyboard as the cursor scrolls over the sheet music. Memory Sprint: Follow the progress of a runner as he competes in a frantic race, then write down the place in which he finished. 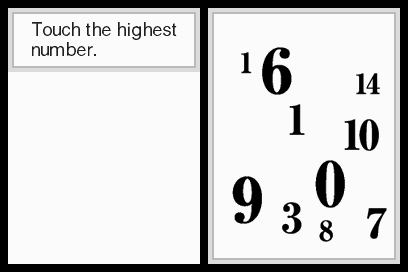 Math Recall: Math meets memory in this fun challenge. Solve a math problem, then remember the scribbled-out number and use it to solve the next problem. 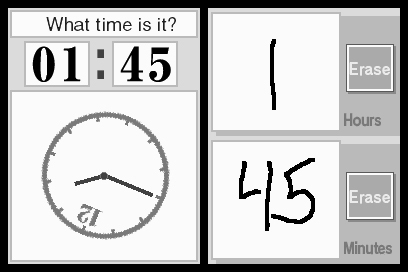 Clock Spin: Examine clocks that are sideways, upside down or inverted, and write down the correct time. Word Scramble: Unscramble the letters and write down the word they spell. 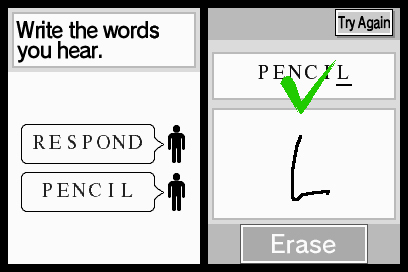 Word Blend: Listen to the overlapping words that come from the DS speakers, then write down the words on the Touch Screen. Change Maker: Touch coins and bills with the stylus to make the correct change. Block Count: Watch blocks that fall into columns, then write down the height of one of the columns. The pictures really speak for themselves. Not a big surprise. This was experted, but now there is an official confirmation. SANTA MONICA, Calif., June 27, 2007 – The search for the next ingeniously ground-breaking video game has begun. At a private developers conference this week, Nintendo announced the introduction of WiiWare™, a game-creation service that will allow developers large and small to create new downloadable video game content for sale by Nintendo through the Wii Shop Channel of the hot Wii™ home video game system. WiiWare paves the way for smaller, more creative games to make their way to the public at lower prices, without any inventory risk to developers. The first WiiWare content will launch in early 2008. 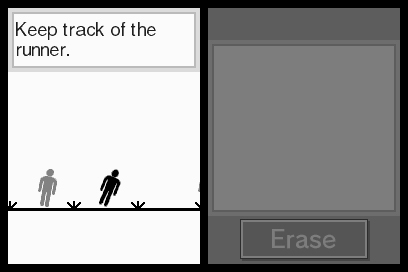 The possibilities for WiiWare are limited only by the imaginations of developers. 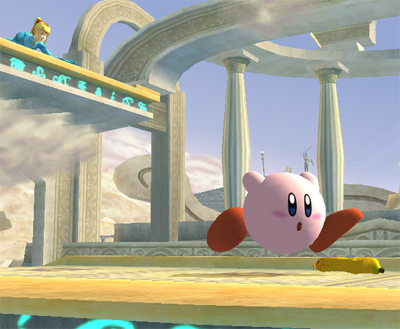 WiiWare provides game creators a simple method by which they can get their games to the public. 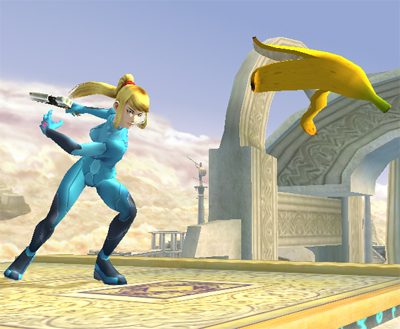 This approach, combined with the remarkable motion controls of the Wii Remote™ and Nunchuk™, will give birth to fresh takes on established genres, as well as original ideas that currently exist only in developers’ minds. The reduced barriers to development provide developers the freedom to create and an inexpensive, clearly defined path to reach consumers who will ultimately determine which game will become the Next Big Thing. WiiWare will be posted on the Wii Shop Channel. 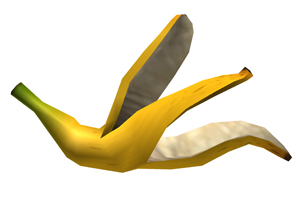 As with current Wii Shop Channel offerings, users will redeem Wii Points™ to download content. It will support a variety of pricing options. Details about that and upcoming projects will be announced at a later date. For more information about Wii, visit Wii.com. The worldwide innovator in the creation of interactive entertainment, Nintendo Co., Ltd., of Kyoto, Japan, manufactures and markets hardware and software for its Wii™, Nintendo DS™, Game Boy® Advance and Nintendo GameCube™ systems. Since 1983, Nintendo has sold nearly 2.4 billion video games and more than 409 million hardware units globally, and has created industry icons like Mario™, Donkey Kong®, Metroid®, Zelda™ and Pokémon®. A wholly owned subsidiary, Nintendo of America Inc., based in Redmond, Wash., serves as headquarters for Nintendo’s operations in the Western Hemisphere. 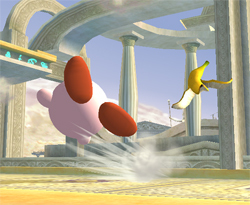 For more information about Nintendo, visit the company’s Web site at www.Nintendo.com.